DIFI (authorities) defines the Contact ID: The customer contact, known as “Deres ref” in Norwegian, is mandatory. 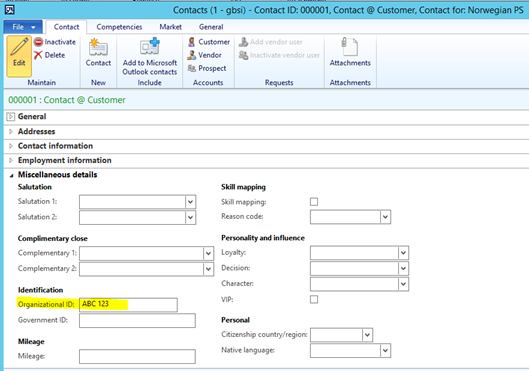 In AX 2012 R3 the customer contact reference is entered in the field Organizational ID under Miscellaneous details on Customer/Contacts. 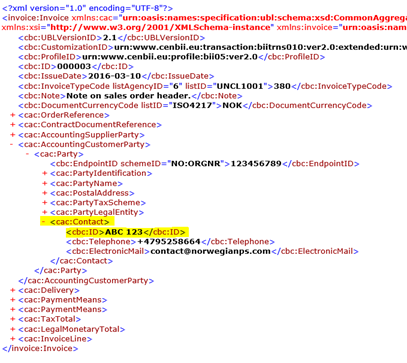 In the XML file it looks like this.